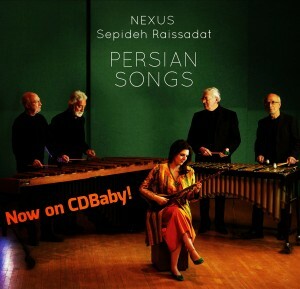 1) Three NEXUS albums are now on CD Baby!! Details below. 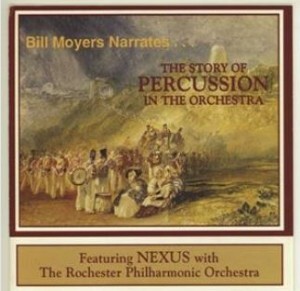 2) We have a brand NEW NEXUS album to be released soon! See below. 3) NEXUS members are in residencies in Columbus OH, Fredonia NY, and Philadelphia. See below. 4) Russell is heading to Finland. More information below. 5) Bill’s ROC Drummers, an after-school hand drumming project for Rochester young people, has been a great success. Check out the great video of their first concert, here. 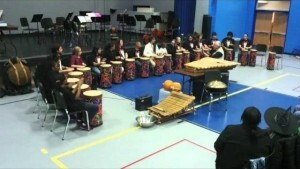 The ensemble played a loose Ghana drum rhythm on tubanos and each member played a brief duet on a homemade amadinda. This is an awesome project and all are to be congratulated! More details will appear on our Facebook page shortly. “The Story of Percussion” recorded with the Rochester Philharmonic and narrated by Bill Moyers (a look at how percussion instruments became a part of the symphony orchestra). Our stock of physical CDs for this title is sold out, so CDBaby is the way to get it! 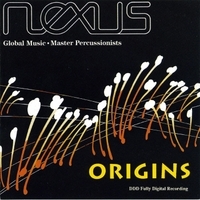 decision made by the individual members of NEXUS in advance of the recording was the selection of musical instruments from our extensive collection.) One piece is called “The Good Humor Man Meets the Knife Sharpener”! (It’s part of “Perpetual Emotion”). 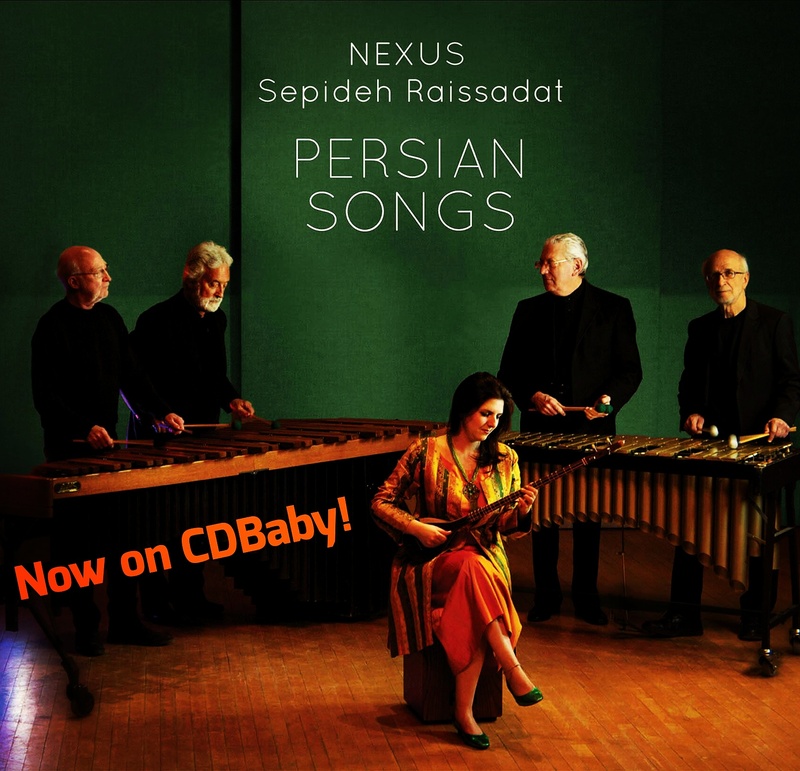 Our latest album “Persian Songs” is also on CD Baby, featuring Russell Hartenberger’s “Persian Songs” suite with Sepideh Raissadat, and his “Moondog Suite”. In other CD news, our Juno-nominated “Drumtalker” along with “Persian Songs” are both available now through on our Discography and order them by emailing billcahn@aol.com. January 23/24/25 Bob will be in residence at SUNY Fredonia. The 23rd will be his workshop on xylophone history and performance concepts; the 24th a session on the music of Steve Reich; the 25th, he will be in concert 8 pm Rosch Recital Hall performing solo and with the students of Kay Stonefelt’s percussion studio in a program of a number of his own arrangements and compositions. February 18/19/20, Bill will be a guest of Ohio State University and Susan Powell in Columbus, presenting his “Creative Music Making” workshop and performing with the OSU Percussion Ensemble. He will also be coaching/conducting high school percussionists in his piece, “Tides.” The concert is on Saturday, February 20. On March 31st, Russell heads to Philadelphia to coach the Temple University Percussion Ensemble in Steve Reich’s Music for 18 Musicians. 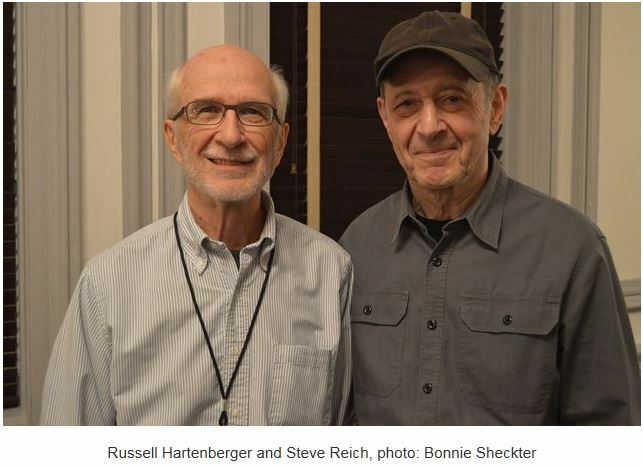 While Garry is heading to warmer climes, and Ray is planning a snow-vacation, Russell is off to Finland’s Sibafest where he is coaching a very special performance of Steve Reich’s Music For 18 Musicians under the auspices of the Sibelius Academy. Find out more HERE. April, May and June will bring a whole lot more news, so stay tuned. We will keep you posted!